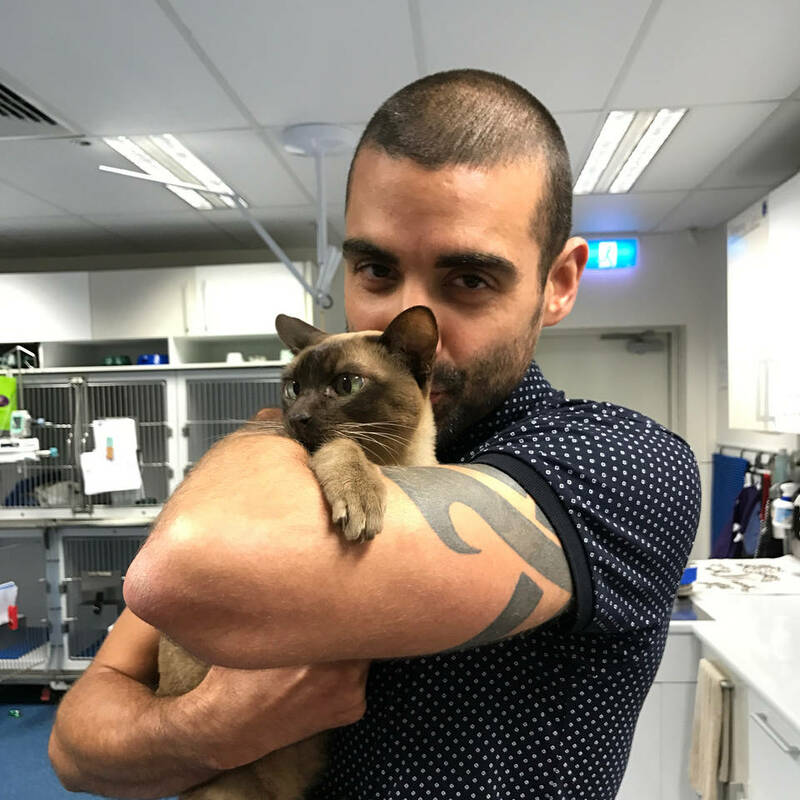 One of his clients said: "Anthony from SuperVets has very high energy and is very animated. Above all is very informative and shows our pets absolute love. Our dogs get excited when seeing him, showering him with love every time. I could not think of a more worthy candidate for the new Bondi Vet show." My partner and I want to get a dog, I have a toddler who's anxious around dogs and my partner wants a puppy, I want an older dog. What would you recommend? Thank you and congrats!!!! Putting pets down would be hard. Is that the toughest part of your job? Hi guys! Sorry it's taken me a few days to respond to your great questions, away on holidays. Here's a clip of an incredible glow worm cave- hard to appreciate how amazing these creatures are with an iPhone. Hope you enjoy my Bear Grylls meets Bondi Vet video! My Pomeranian needs to wee on everything when we go for a walk. Every 3 seconds he lifts his leg. I am a pet sitter and have not seen other dogs do this to this extreme. Sensei is 4 years old and is desexed. Diseal has just turned one year old. He loves to play and shake had for treats see photo. Is one year old too late to teach him more tricks, to follow you and listen to commands such as stop. Learned to sit and shake but not stay or come. Would you recommend Prince undergo a fifth operation to repair the hole in his palate or can he live a normal life as he is? Super vets saved our Bull Terrier (Hemi) after he ingested two mango seeds. Very friendly, and welcoming and I love that we can get home visits. I highly recommend Super Vets and Anthony.